This well-maintained 4 bedroom, 2 bath home features breakfast space in the kitchen to enjoy your morning coffee and formal dining area to sit with your guests. Fully finished basement with 2 bedrooms and a bathroom. Huge lot with a flat yard and covered patio are ready for your spring BBQs. Great family neighborhood and just a short walk to the Great Plains Park and Playground. 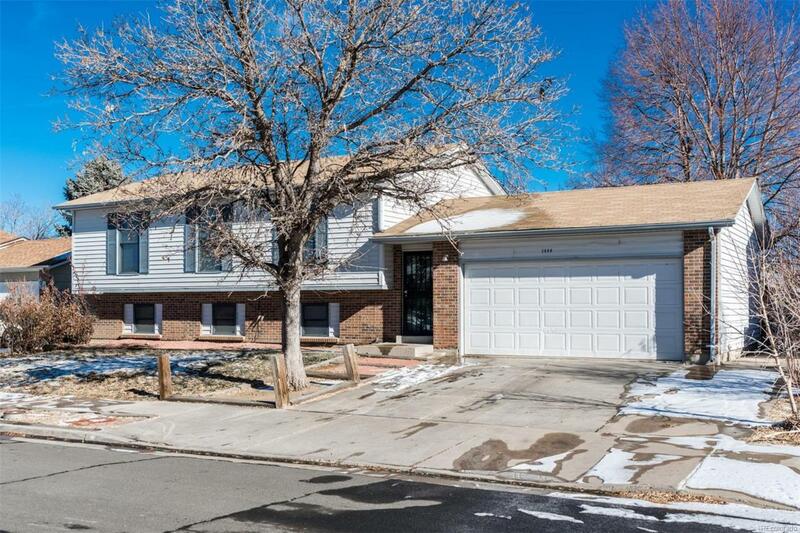 Provides convenient access to E-470, I-70, and I-225, and is a short drive to Buckley Air Force Base.